Mrs. Jane Moty graduated from Eastern Illinois University and completed a second degree from University of Phoenix. 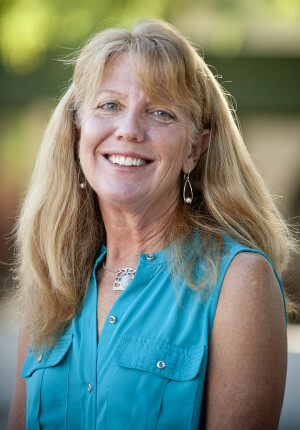 She joined New Way in 2013 coming from the Scottsdale Unified School District. Mrs. Moty has 14 years experience teaching general education, special education, as well as physical education. She holds both a Gifted and ESL endorsement. At New Way, Mrs. Moty is a Certified Wilson Reading Specialist and teaches classes in Fundations and Wilson Reading therapy. Mrs. Moty has a very professional rapport within the school community. She sets high standards for her role as a teacher, having identified the critical knowledge, skills, and teaching procedures she must convey that produce continuous student involvement. Her enthusiasm and innovative techniques allow all students to have a positive learning experience. This is evident when passing her classroom from the communication and laughter that can be heard. When not at school, you just might see Mrs. Moty on her road or mountain bike as she is a four time Ironman finisher and continues to train for her next adventure. She married her high school sweetheart and they have three grown children, a black lab and a desert tortoise. Mrs. Moty loves the outdoors; she would rather mow the lawn and trim trees than cook and clean floors!